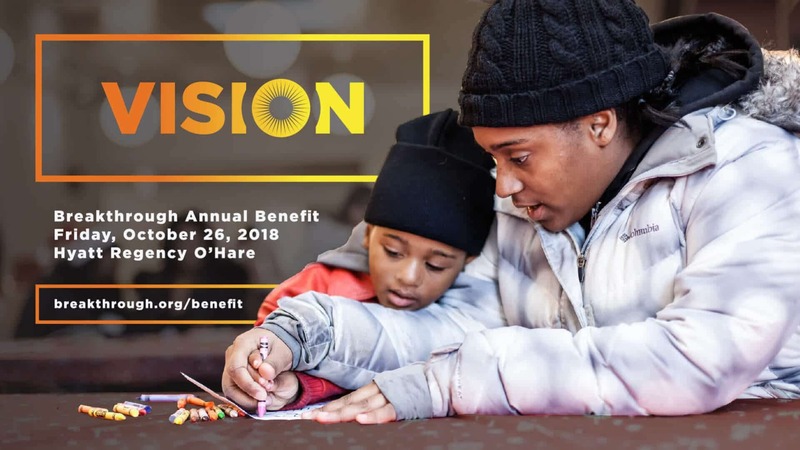 Join us on for our 2018 Annual Benefit and celebrate Breakthrough’s impact in East Garfield Park. As we embark on our ambitious 5-year strategic plan, the Benefit is more important than ever. Our theme of Vision will touch on powerful stories of transformation and explore the vision of a safe, stable, engaged East Garfield Park. Breakthrough has been bold in writing down and pursuing its vision alongside the residents of East Garfield Park and there is no better time to join this work. Your support will help Breakthrough continue our work of partnering with those affected by poverty to build connections, develop skills, and open doors of opportunity. Meet Breakthrough staff, friends of Breakthrough, and learn about Breakthrough programs before the event begins. Whether you are joining us in person at the benefit or not, you can support our work by giving. The benefit is the perfect event to promote your business. Sponsorship opportunities are available. Click on the following link to learn more about sponsoring Annual Benefit 2018.